Ghost Orbs in front of a wall??? Or just something on the camera. All the other pictures were totally clear. 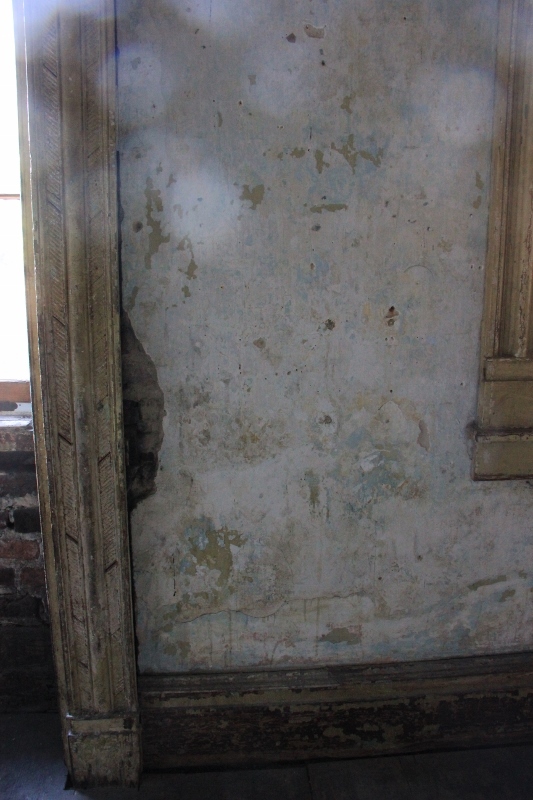 When we were in Savannah, Georgia, I took pictures of the walls and fretwork in some of the old buildings that were “haunted.” We were on a ghost hunting tour–paranormal equipment, you know–the usual. 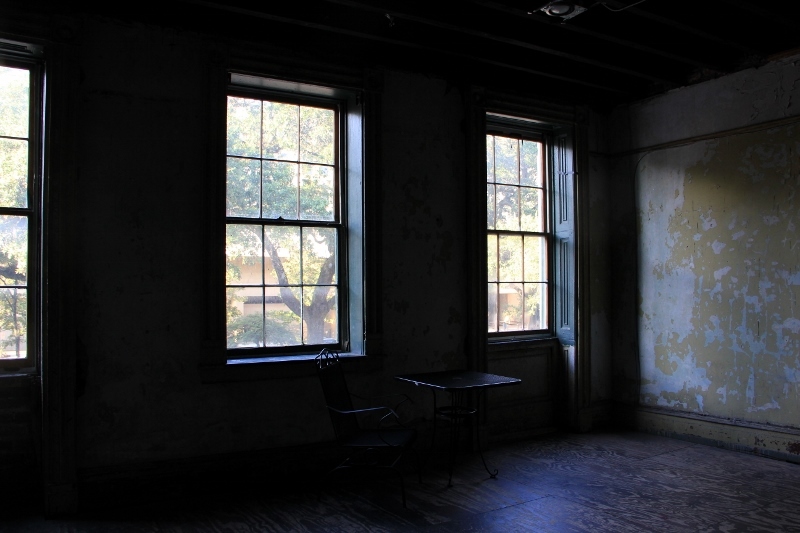 Ghost light detectors, phones set on ghost tracking where it pops up with words and it doesn’t matter that the words reoccur no matter where you are in Savannah, and you can have a ghost right beside you, it happens with such regularity, you know you’re being stalked. Temperature readers. Anyway, so we had lights that changed colors when “entities” were in the local vicinity, changes in temps–yeah, yeah, so there was air conditioning seeping out of the window of a building right next to the walkway where it was sooooo hot. Hmm-hmm. Finding ghostly entities with ghost lights. 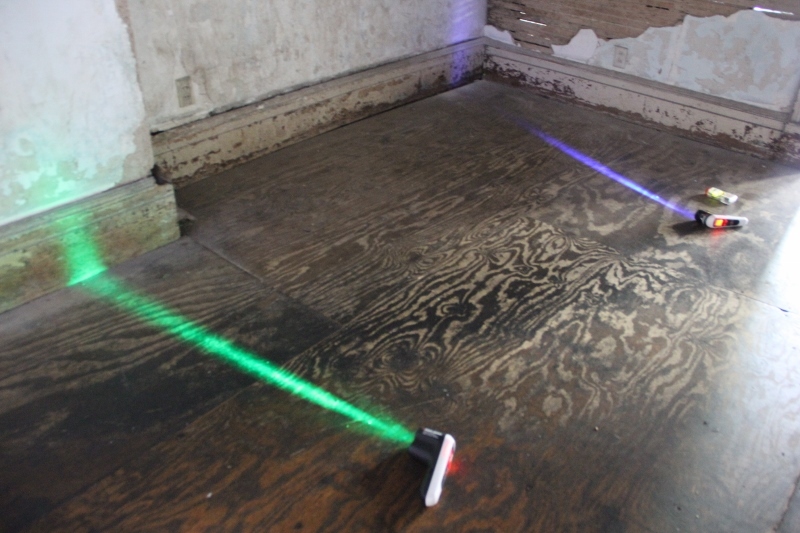 And yes, the entities came to a particular spot on the floor. They were kids, because guess what? When you raised the ghost alert meter, it would lose the signal. So had to be a kid. Right. Not electrical something in the floor??? 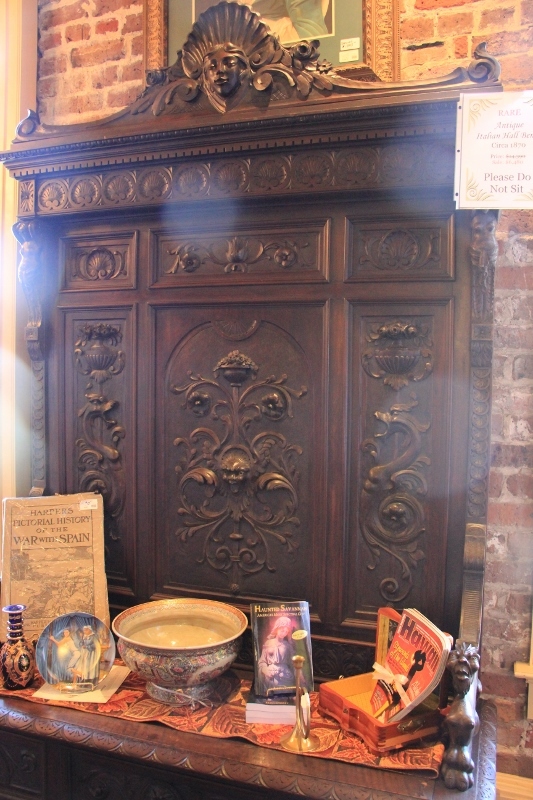 This was NOT on the ghost tour, and it was an antique shop with a wickedly evil looking Italian bench. Bonnie only got a picture of a haze where the bench should be. The little evil looking figure in the center had green glowing eyes on her picture. But my closeup of him was fine. But my camera picked up ghost orbs when hers just showed fog. Different pattern entirely from the first picture above at the haunted building showing ghost orbs. And all the rest of my pictures were clear. I always figure something’s on my lenses, but how come everything else was clear? These were the only two pictures that came out like this. So what do you think? Ghostly orbs, or just the lighting in the building somehow??? ← One of the Most Fun Things About Being an Author–The COVERS! It sounds like you and Bonnie had a blast! Now I want to go ghost hunting.